Nothing better than the hustle and bustle of Brussels. Find Hubert right in the city centre. 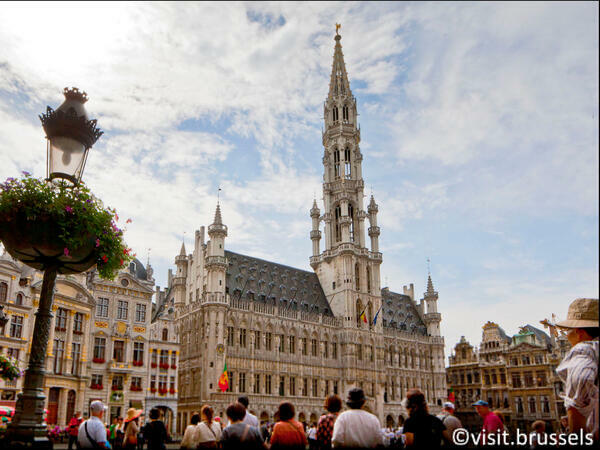 Just cross the Galeries Royales Saint-Hubert and – BOOM – you’ll find yourself standing right on the ‘Grand Place’. That’s the central square of Brussels. And what a beautiful square it is. Don’t believe me? Just ask UNESCO, they made it a World Heritage Site. 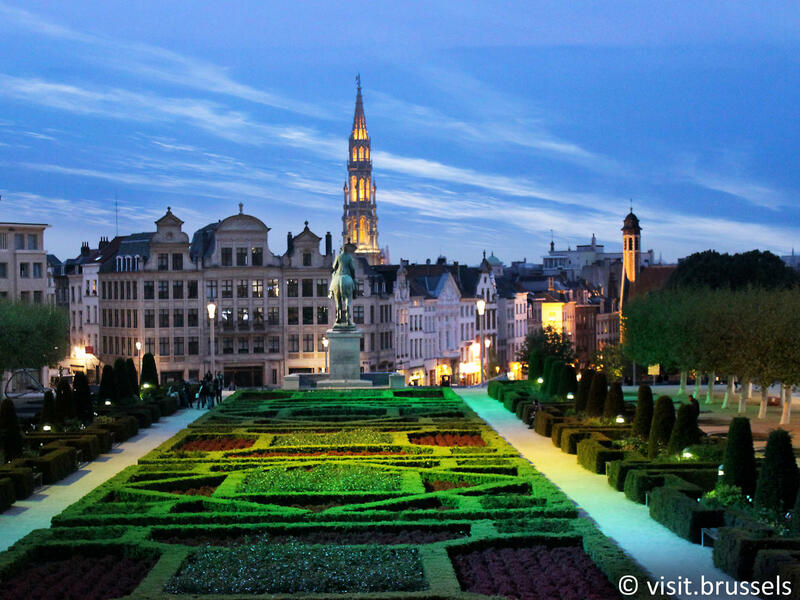 You’ll find the Grand Place right in the heart of Brussel’s Old Town. It’s the city's main plaza and, if you ask me, also one the most beautiful squares in the history of squares. Not in the last place because it’s very well preserved. A lot of the square's elegant character is due to the unique architecture of its beautiful guild houses, or Gildehuizen, as me and my fellow Bruxellois call them. Gables, pilasters and balustrades, rich gold decoration: the lot. Most were built between 1696 and 1700 in the Baroque style but with some Flemish influences. The history of the Grand Place dates back much earlier, though. It was first established in the 11th century and soon after grew into the city’s political and economic centre. I like my malls the way I like my suits: shiny, stylish and timeless. Sparked your interest? 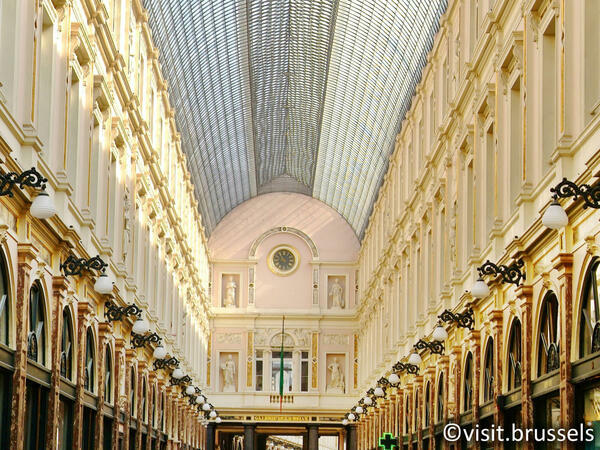 You’ll love the Galeries Royales Saint-Hubert. It’s a solid two hundred meters long architectural masterpiece. The passages have glazed ceilings, allowing the daylight to seep in. So if you’re looking for a place to boost your Insta, this is it. Or just enjoy a stroll around the countless shops, cafes, high-end chocolatiers and restaurants. There’s even a cinema and a theatre. What’s in a name, right? 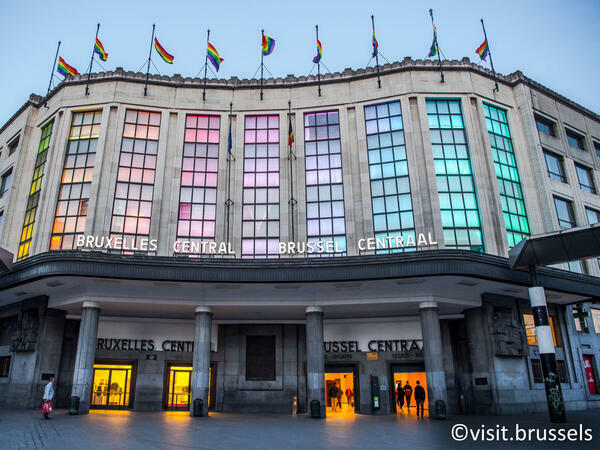 Brussels Central Station is convenient if you want to come by train, but it’s easy on the eyes, too! Fair enough, Antwerp Central Station may have us beat on visual spectacle, but we have the ‘Carrefour d'Europe’ (the crossroads of Europe) just out front. A sweet little square solely for pedestrians. So there you go. There’s never a dull moment exploring Sablon – day or night. This bustling neighbourhood hosts some of my favourite bars and coffeehouses. It’s also home to a great number of interesting museums. And on the weekend, the Grand Sablon transforms into a market, making it the perfect hunting grounds for genuine antiques.